A draft law aimed at lowering the minimum legal age for marriage for girls from 18 to 16 has garnered criticism in parliamentary and political circles. The draft law was proposed by Ahmed Samih, an independent MP representing the Giza district of Al-Talbiya, who says that lowering the age of marriage would legalise the status of girls who get married at this age regardless of legality. "Statistics show that 80 percent of girls aged 16 in rural and densely populated urban districts marry with parental consent, even though they are aware that this marriage is illegal," said Samih. "My draft law aims solve a lot of the problems facing girls who marry and have children at this age." Samih adds that the law aims to lower the minimum age for marriage so as to "bring it in line with Islamic Sharia." "I also want to point out that my draft law does not aim to force girls to marry at this age," said Samih. "Every girl has the right to choose the marriage age she likes. All I want is to make marriage under 18 lawful in order to save girls who marry at this age from all the legal problems they face." Samih also points out that the age of consent for marriage in Saudi Arabia and Yemen ranges between nine and 13 years old. Samih's legislative proposal has faced strong attacks from fellow MPs. The 45-member parliamentary bloc titled Egypt's Bloc of Female MPs described Samih's draft law as "a disaster." The bloc said in a statement on Friday that "Samih's legislative proposal will only help worsen the population explosion crisis in Egypt." "This draft law comes at a time when Egypt is already suffering from runaway growth in population, not to mention that it legally contributes to worsening the heavy physiological and psychological problems faced by girls who marry at 16," said the statement. Margret Azer, a female MP who is a member of the bloc, said that "instead of lowering the marriage age to 16, I intend to draft a law that seeks to raise the age of marriage from 18 to 21 in order to stem the tide of population growth and divorce problems in Egypt." "Most marry at this age because their families need money, not to mention that they mostly marry older men who want to evade legal problems or financial commitments when they divorce." Azer said that Article 80 of Egypt's 2014 constitution states that "those who are under the age of 18 are to be considered children." "This means that girls under 18 are children and should not be allowed to marry given the financial, health and legal risks of marriage at this age," said Azer. Azer also argued that "marriage at 18 does not violate Islamic Sharia, which states that girls reach the age of marriage when they become wise enough." "To me, girls in Egypt become wise enough when they reach the age 21, because at this age they can judge the husband they want and can bear the burdens of marriage," said Azer. Female MP Ibtessam Abu Rehab, a member of parliament’s human rights committee, said Samih's draft law contravenes the constitution and the marriage law (no.126/2008), which puts the marriage age for girls at 18. "Samih wants to amend this law to allow girls aged 16 to marry, but we as female MPs will strongly stand against this amendment," said Abu Rehab. "Marriage at an early age puts young Egyptian girls under heavy physical and psychological stress because it is very difficult for them at this age to bear the burdens of marriage, pregnancy and raising children." Abu Rehab also claimed that families who allow their girls marry at 16 are usually members of the Muslim Brotherhood or Salafist groups. "These are the ones who encourage early marriage in Egypt and who preach against birth control on the grounds that this goes in line with Islam," said Abu Rehab. In response, Samih said he is neither a member of the Brotherhood nor a Salafist. "I just want to legalise a prevalent phenomenon in the countryside and help girls who marry at 16 get their legal rights," said Samih. Mohamed Fouad, an MP affiliated with the liberal Wafd Party, told reporters on Saturday that "Samih's draft law is a very bad step that will worsen social conditions in rural areas." 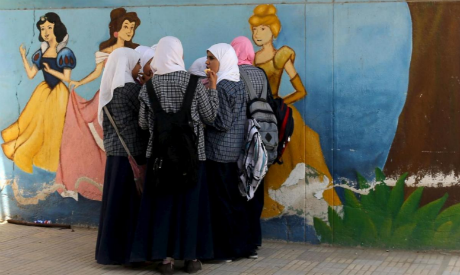 "The Wafd Party believes that when girls reach 18 they become mentally and psychologically mature enough to be allowed to marry," said Fouad, adding that "marriage under 18 will only exacerbate divorce cases and is not in the child's best interest." "Someone should be asking the question; if a 16-year-old girl is pregnant without an official marriage license, is this not a crime where she is the true victim?" said Fouad. In a statement on Friday, the NCW said that the draft law would lead to a regression in the rights attained by women, and would delay the achievement of desired development in the country. "It impedes all efforts by the state to overcome the problem of population explosion, and to prevent early marriage, and it does not guarantee the rights of women to complete their studies and choose their life partner,” read the statement.